People who live with serious mental illness or co-occurring mental illness and substance use disorders die on average 25 to 35 years prematurely. The causes are largely due to preventable diseases such as diabetes, cardiovascular disease, respiratory disease, and infectious diseases. Health disparities attributed to a number of factors, including disparities in lifestyle, environment, and quality of medical care, can also contribute to premature morbidity. It is speculated that the stigma associated with mental illness is a contributing factor as well. Behavioral health case managers are experts in helping people manage their chronic mental health conditions. By applying those skills in addressing the whole health needs of these individuals, the case managers become care managers, applying concepts of managing chronic health conditions in an integrated systems approach to their behavioral health concerns. As a health and human services professional, an overview of case to care management provides an opportunity for you to build upon your case management skills, incorporate a patient-centered approach, and effectively impact the health outcomes of the people you serve. Describe barriers in the U.S. healthcare system that perpetuate the fragmentation of care. Identify three health disparities impacting health outcomes in the behavioral health population. 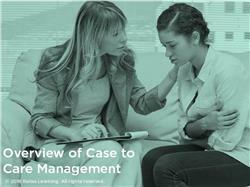 Summarize the similarities and differences between case management and care management. Develop effective methods for managing a multidimensional approach for your clients total healthcare needs. 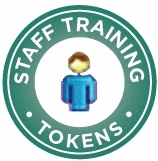 The target audience for this course is: entry level Case Managers; entry level Nurses; entry level Social Workers; in the following settings: Health and Human Services.